A post about the mechanics of fatigue. I agree with this opinion on races. What do you think? The first 100 shoes to cross the finish line at the NYC Marathon. 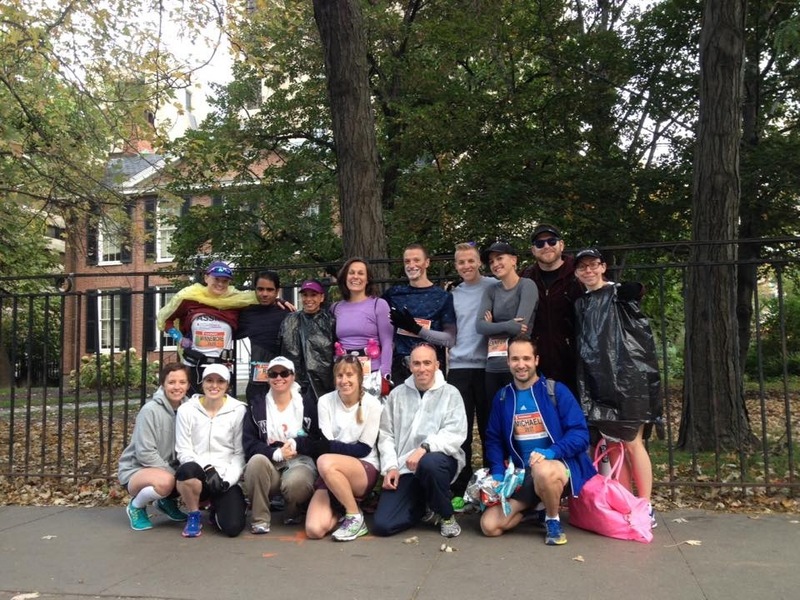 Another STWM recap from one of my fellow digital champions. A post about our biggest fans. A good response to a blogger who was critical of 13.1 and 26.2 stickers on cars. 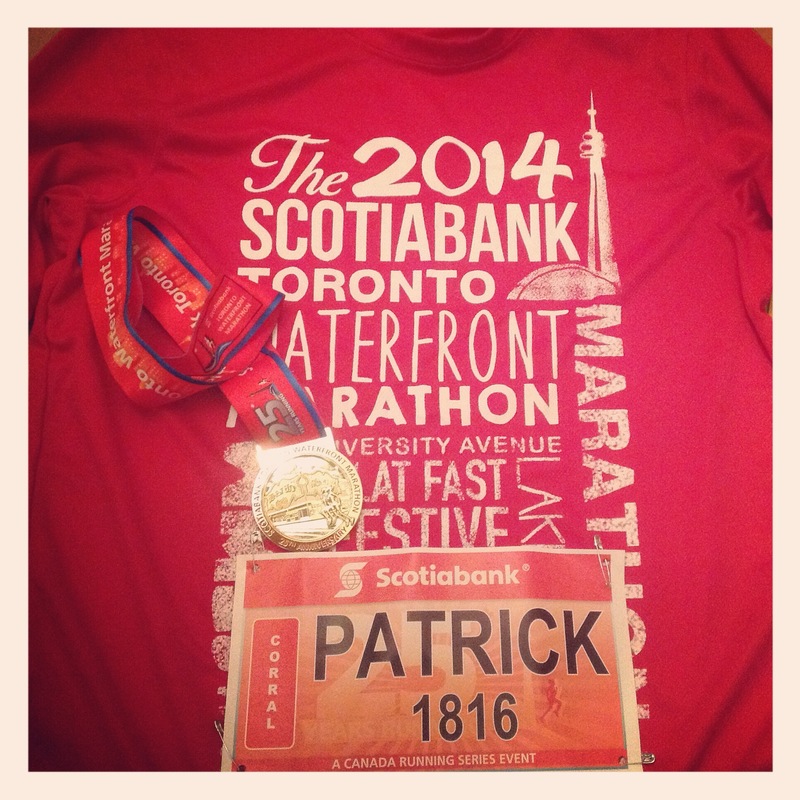 An inspiring post about one of my fellow digital champions from stwm. 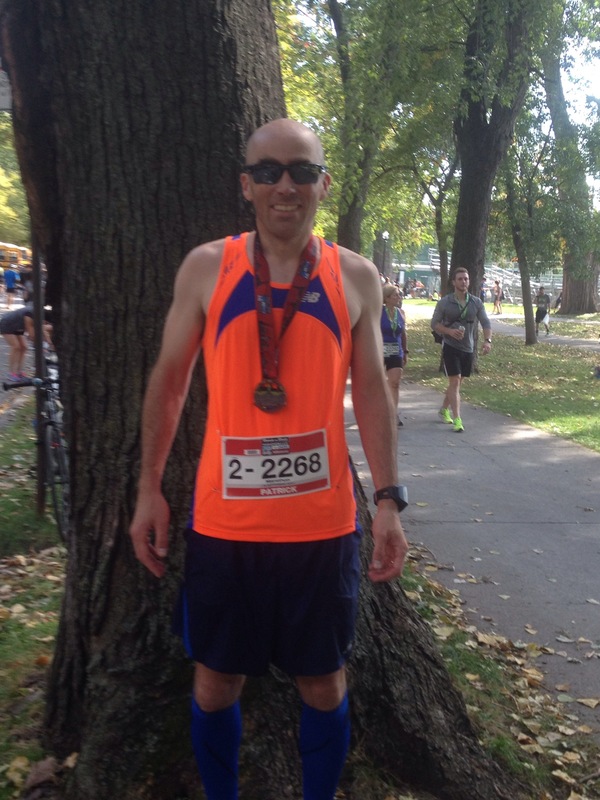 Eric Gillis’ recap of his STWM experience. A good read if you are interested in reading about how one of Canada’s best approaches a race. A post about making sacrifices for marathon training. A post about how to deal with aches and pains. A post about the running’s role in dealing with tough times. Since I participated in the Toronto Waterfront marathon last weekend as a digital champion and shared my recap earlier this week I thought I would share recaps from some of my fellow digital champions that you can read here, here, here and here. I spent more time analyzing my result before putting my thoughts down on here than I usually do after a race. Finally, here is my race report from Sunday’s STWM which was marathon number three for me this year having already run Ottawa and Montreal. 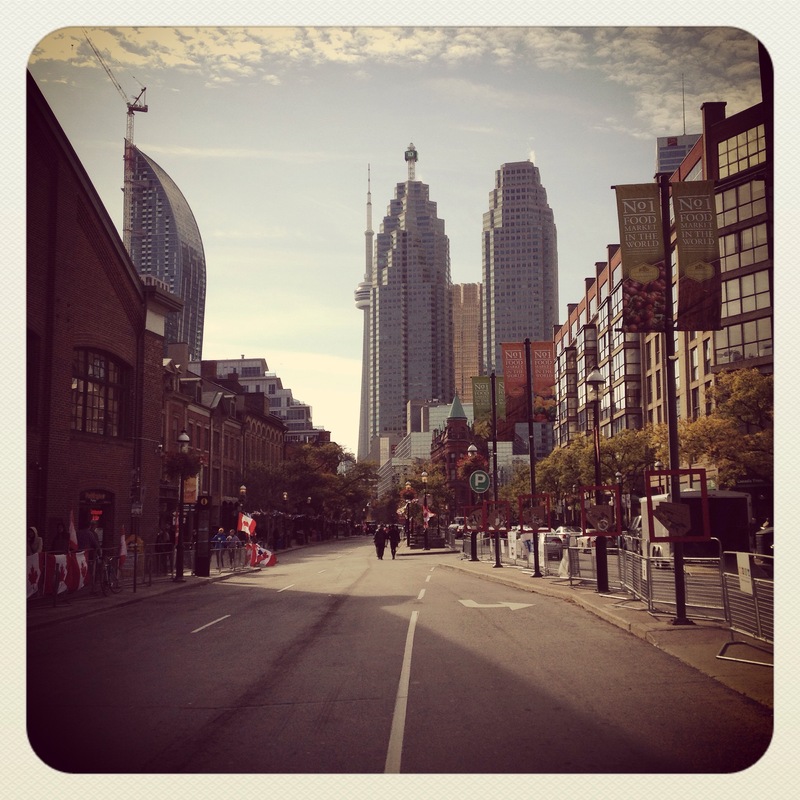 STWM was actually my second marathon in three weeks. After backing off and coasting in for the last 15 km due to the heat in Montreal three weeks ago STWM was to be my goal race for the fall, the latest in my quest to run a sub 3:10 marathon and qualify for Boston. As some of you are already aware, I was one of the digital champions for STWM this year. We had been in contact over social media since the program was launched in June. I had the opportunity to meet a few of my digital champions when I was in Toronto with my family over the summer. Friday night I met more members of the group as we got together over food and drinks. Saturday I went to the expo quickly to pick up my race kit but other than that tried to stay off my feet as much as I could. Sunday I headed over to the start early so I could meet up with some of the digital champions again before heading to my corral. Once in my corral I ran into Andrew and Kenny, two more digital champions. They were aiming for times similar to what I what hoping for. The weather was the opposite of what I experienced in Montreal and Ottawa earlier in the year. I was glad that I went to Value Village to find some throwaway clothes to keep me warm until the last minute. I felt strong over the first 10 km as we wound our way through downtown and out on to Lakeshore past the exhibition grounds and Ontario Place. I maintained a 4:30 pace for that portion. 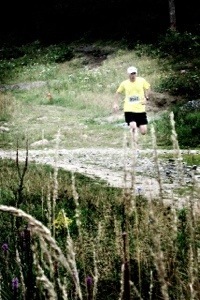 I crossed the 10 km line in 45:09 leaving me on pace for a 3:10 finish. The next 11 km as we turned around and headed back downtown went a little quicker as I managed a 4:28 pace. I crossed the halfway point in 1:34:48 leaving me on target to meet my goal. I knew that there was still a long way to go at this point but I still felt like I could maintain the pace for a while. Unfortunately, just after the half I encountered the first setback of the morning when I had to stop for a pitstop that cost me valuable time on the clock. I managed to get right back to a quick pace when I got back on the course but I was now behind my goal pace. Around 27 km we headed out for the last out and back section as we made our way out The Beaches neighbourhood. At this point I my legs started to feel heavier but I was still running a comfortable pace although still slightly off my goal pace due to my earlier stop. I saw Kenny and Andrew again around the 32 km mark as I approached the last turnaround before we headed back downtown. They were both headed back the other way at that point looking strong. I knew I was going to have to push hard if I wanted to get back on track. Getting from km 35 to km 40 was the toughest point of the race for me as I felt like I was starting to run out of energy. Maybe I wasted too much time trying to do math in my head and figure out the pace i needed to run for a 3:10 finish or maybe I really was running out of gas but a 4:55 pace through this section left me even further behind my goal. Around the 39 km point you come to a slight incline as you go over an overpass. Having done the race two years ago I knew that on the other side there was a slight downhill leading into downtown for the final two km of the race. I decided to conserve some energy and take it easy as I climbed the overpass so I could pick up the pace on the other side and make one last push to the finish line. This is one of my favourite spots of the course. Not only is it close to the finish line but getting back downtown means the cheering crowds are back to pick you up as you make that last push. Here is a picture of the area I am talking about that I took a few hours after I finished. I was able to pick up the pace again as planned with my pace for the last two km being 4:40 and 4:37. I ran past my family with about 800m to go. Knowing they would be close to the finish line I made sure to grab extra noise makers for the kids when I was at the expo on Saturday. I crossed the finish line in 3:14:26. My quest for a BQ continues and will have to wait for another day. I am not completely disappointed with my time. I find out of town marathons tougher to plan for because there are fewer elements that you can control. Sunday was my fastest marathon away from home by 6:00 minutes. In addition, having taken the time to analyze my effort I have a clear idea in mind what I need to adjust the next time out in order to take that next step and break the 3:10 barrier. First I need to review my pre-race breakfast so I can avoid any unnecessary stops. Second, I think continued strength work and more overall mileage is in order to hopefully deal with the fatigue that caught up to me around the 35 km mark. That said, getting more sleep the week leading up to race day would probably also help in that regard. Like always after a marathon the toughest part for me is not being able to get right back out on the road to have another go at it in order to correct things I think I did wrong. Instead I will have to wait until the spring. I guess that is part of the allure to the marathon, if it was easier many of us would not be attracted to it. For now i will take the time to rest and recover properly. First up will be finally getting rid of the nagging lower leg issue I have been dealing with for over a month now. Stretching and increased use of the foam roller have helped make it tolerable to the point that it is not really noticeable when I run but I have not yet been able to get rid of the issue completely. A great story about the lure of the marathon. Some tips on what to do in the last 48 hours before a marathon. Her are a few more tips for the day before a marathon and race day. My training is complete and race day is just around the corner. After having to back off in Montreal three weeks due to the heat I am hoping STWM will be my A race. Since I do not have any other races lined up this year I am certainly going to give it a shot Sunday morning. Those of you who have trained for a marathon before know that there really is not much to say about this week in terms of training. After going for 15 km at race pace Sunday night my week consisted of easy runs Tuesday and Wednesday. I’ll go for a short and easy run tomorrow to shake out my legs but really the goal for this week was to stay healthy to run Sunday morning. You may recall that I did this marathon two years ago. On that occasion I ended up missing a few weeks of training because I sprained my ankle one month before race day. As a result, race day did not go quite as planned. This time around I am certainly better prepared to have a good race. I certainly feel that I have had another solid training cycle. I just hope everything comes together on race day and I can have a solid race. After running two marathons in warm conditions this year it appears I will finally get a chance to run in cooler conditions this time although rain and wind could still be a factor. That’s it for another training cycle. Sunday will be marathon number three on the year for me and number 12 overall. This year has been another big year of running for me and hopefully I can end my running season off with a good result. For the second time in three weeks I am into the last week of training before a marathon. This is a first for me, I have never done two marathons this close together. It can be a tough week to get through after all the training you put in. This time I am hoping that the fact i just went through this a few weeks earlier will help make it easier. Since I had to back off from my goal in Montreal three weeks ago my focus since then has been first of all to recover so I could take another shot in Toronto this weekend and second to get in a few more quality runs so I could maintain my fitness level. After a 15 km run at marathon pace last night my key workouts are done. I will run a few more times this week but they will all be short runs. I will keeping the runs in the 6-8 km range until Sunday when I line up for the marathon. In terms of pace I will likely throw in a few km at marathon pace again Thursday but other than that I will stick to a very easy pace. The real focus for this week will be loading up on carbs and getting enough sleep, something I don’t always get enough of in the lead up to a marathon. At least I can control the food I eat and won’t have to worry about eating out in restaurants until Saturday when we are in Toronto. That’s my plan for the week. Hopefully it will be a successful one. I am confident in the training I put in over the summer but the marathon is such a long race that many pieces have to come together for a successful race. I’ll try not to stress too much over that this week although that may be easier said than done. While the focus of my posts about marathon training have been geared toward the Scotiabank Toronto Waterfront Marathon, I actually had another marathon scheduled three weeks before STWM. 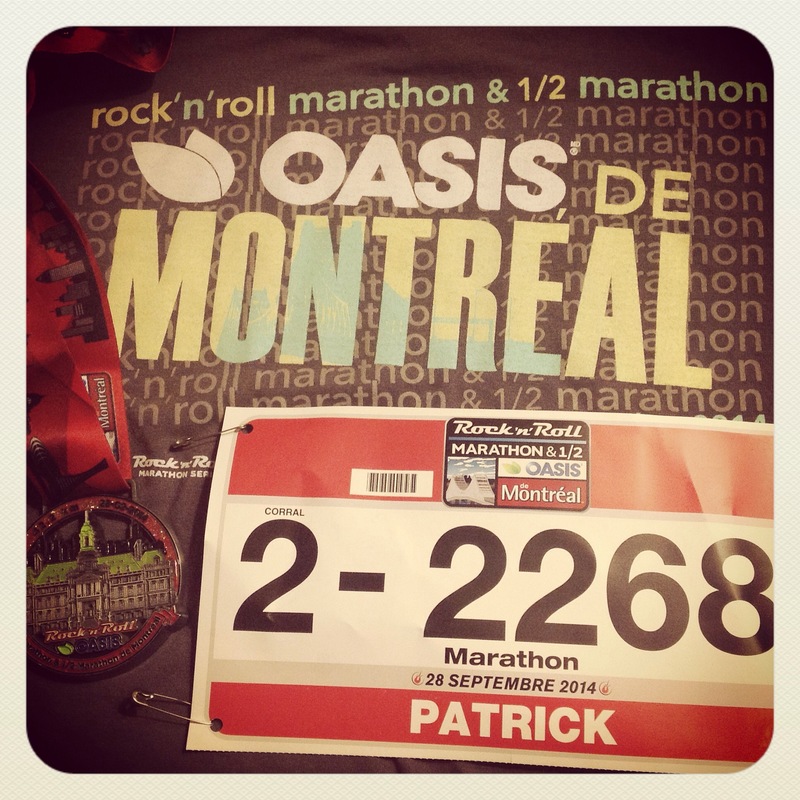 Today I ran the Rock ‘n’ Roll Marathon in Montreal. It was by design that I did not mention Montreal on here in a long time. First, my focus has been on STWM because I am a digital champion for the race. Secondly, I did not want to focus too much attention on Montreal in case I was not running it as a goal race or in case things did not go well. My approach to Montreal was discussed with my coach a couple of weeks ago. We thought I was ready, based on how my training was going, to take a shot at a pb. However, once I started looking at the weather forecast last week and it looked likely that it would be hot today I realized there was also a good chance I would have to back off and save my pb effort for Toronto. Since the start and finish lines are in different locations I had to take the subway to the start line this morning. Fortunately there was one right around the block from our hotel. Since the race started at 8:30 I left the hotel at 7:00. After a quick ride I dropped off my bag to be transported to the finish line and headed for my corral. That involved walking halfway across the Jacques Cartier bridge. It felt warm already and once the pa announcer started making his announcements by warning that it was already 17 degrees C (62 F) and was expected to be at least 23 C (73 F) by 11:00 I knew a pb would likely have to wait for another day. I decided to start out at my goal pace and at least give myself a good tempo run. The race starts off by going down off the bridge to Jean Drapeau Park, a couple of small islands where you will find La Ronde amusement park and the track for the Canadian Grand Prix formula 1 race. Once you get down on to the islands from the bridge the course goes around each island. Having attended the grand prix on a couple of occasions getting a chance to run down the straights, past the start line and through the chicane turns was a definite highlight for me. The next section of the course heads back into the city starting off with old Montreal before heading up to the Plateau section. One thing I will say about Montreal is that it reminded me how flat Ottawa can be. Once we were up on to the Plateau the half-marathoners headed off to finish in Lafontaine Park while the marathoners kept going for another loop before coming back to the park. I experienced this in Philadelphia as well and when you are running the marathon it can be a lonely feeling at first when you see the crowd of runners thinning out substantially. Despite that I found myself settling back into my routine quickly. Despite the hills and the heat I was able to maintain my goal pace past the half. However, between 27 and 28 km in I was starting to feel the heat get to me. At that point I decided to slow my pace and take it easy for the final 15 km so I could recover and take another shot in Toronto. One thing that pleasantly surprised me about this race was the crowd support. Once we were back in the city there were crowds cheering everywhere. I don’t recall there being many quiet sections. At times the encouragement made it hard for me to maintain a slower pace. In the end I crossed the line in 3:36. It was not the pb I was hoping for but I think I did the right thing. Had I continued to push my pace i could have finished in the 3:15-3:20 but that would have made a pb in Toronto unlikely. The number of runners I saw receiving medical assistance because of the heat also tells me I did the right thing. Instead I will, hopefully, recover quickly this week and get back to training for STWM so I can take a good shot at a pb. With an earlier start to the race and 3 weeks to go until race day hopefully the weather conditions will be more suited to a pb effort. Another week of training for STWM is nearly complete. This week was somewhat of a recovery week as I gear up for a final long run this Sunday before I start tapering for STWM. The heaviest part of my training is nearly complete. Now it is almost time to start looking forward to race day. After being a pace bunny during Last Sunday’s Army Run Intook Monday off to recover and set up for one last buildup of mileage before STWM. So far I have managed to fit in three workouts this week. I decided to take it easier this week because Sunday I am planning to fit in what will be my longest training run for STWM. The interval workout I did at the track Tuesday night was the only of my runs this week that was done at a more intense pace. This week’s workout involved 5 x 50m @ 100% followed by and easy 100m. After the recent issues I was having with shin splints this was the first interval workout I was able to do in a couple weeks without discomfort which is a good sign ahead of STWM. As mentioned I have one last long run left before STWM before I start to taper. I always that to be a tough period of marathon training. Even though it is necessary for recovery I still find the reduction in mileage to be difficult. I often find myself getting restless because I am not running as much as usual. At least I have a few more runs to go before I have to start worrying about that. Race day is another week closer and another week of training is nearly behind me. 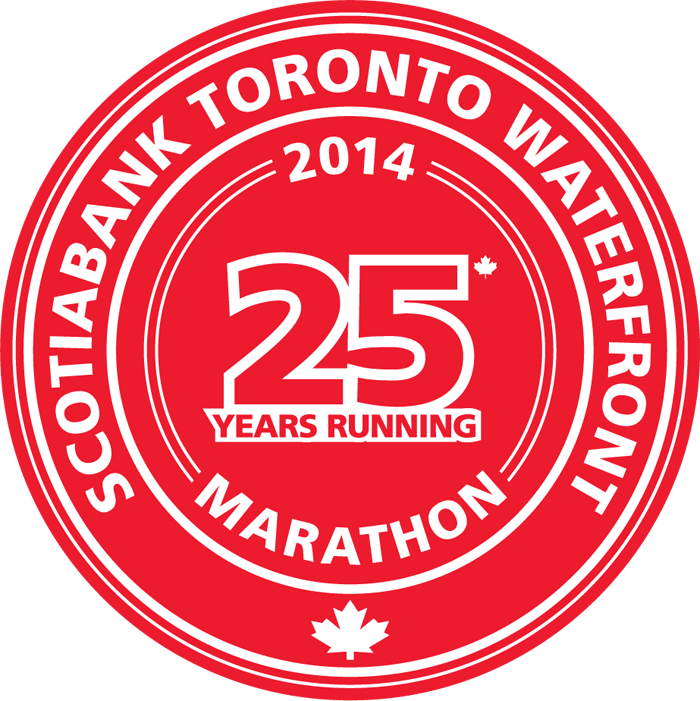 STWM is exactly one month away now. It is hard to believe that race day is so close now but at the same time I am starting to get excited at the thought of another marathon. In terms of training this week, it’s been a rather light week so far after a hard 30 km last Sunday with the first and last 6 km coming at marathon pace. So far I’ve managed to fit in 3 runs for a total of 26 km. While 2 of my runs were easy runs home from work I fit in a good tempo workout Tuesday. This week’s workout involved 2 km @ 4:20/km, 2km @ 4:00/km and 2 km @ 3:40/km. With a warm up and and cool down the run was good for 9 km. I have 2 more runs scheduled this weekend. Tomorrow will be a short and relatively easy effort. Sunday I will be doing the Army Run half-marathon. As I have done the past few years I will be a pace bunny in the half-marathon. This year my pace will be 1:45 which works out to 5:00/km which will give me an easy paced long run. I am not sure if running a half-marathon at this point in my training is beneficial or not but this is an event that has been growing every year that I do not want to miss out on. I also find it fun focusing on helping someone hit their goal pace for once instead of being obsessed with my own goals. As for the rest of my training, I have one more long run scheduled for next weekend before I start to taper for STWM which for me is always an uneasy oeriod of training. I know the taper is important but I get restless when I have to cut back on my mileage.